Cost to install a French drain varies greatly by region (and even by zip code). Get free estimates from foundation repair contractors in your city. Cost to install a French drain varies greatly by region (and even by zip code). Get free estimates from foundation repair contractors in your city. How much does it cost to install a French drain? Hidden beneath the surface, French drains are typically placed in a dug trench to redirect water away from a structure or foundation. 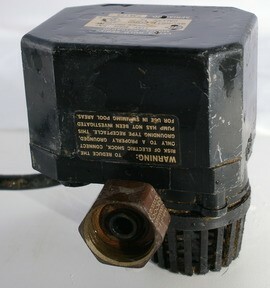 They can be incredibly beneficial in preventing future water damage issues. For this example, we’ll consider the cost of a 50-foot long exterior French drain, which averages $1000-$1500. Interior French drains 1 are typically installed with a sump pump 2 in the basement to fix or prevent flooding. Interior French drains 1 are dug much deeper in the ground (typically five to six feet), so they are more expensive. The installation process by a contractor is very labor intensive and requires a large moat be dug around the building’s foundation. The average total cost is $50-$60 per linear foot. For a 20’x30’ basement, the perimeter is 100 linear feet, which means the total installed cost would be $5000-$6000. Basements with less than 130-150 linear feet only need one sump pump 2 (for an average cost of $175-$225), while larger basements typically require two sump pumps 2. Exterior French drains 1 are installed two to three feet under the ground to move surface water away from your property. The length of the drain depends on how far away you want the water deposited. On average, exterior “surface” French drains 1 cost $10-$15 per linear foot for all parts and labor, so the average cost is $1000-$1500. Installing a French drain 1 requires lots of digging, no matter if it is an interior or exterior drain. To fill in the holes and fix the landscaping, plan to hire a landscaper for $45-$75 per hour. Depending on the size of the hole and the landscaping required, most companies can finish within one to three days (8-24 labor hours). Rain gardens are popular plant areas to install where the French drain 1 ends, which is where the water is deposited. Because the drain is constantly drawing water away from the foundation, the rain garden has near-constant nourishment. Rain gardens typically cost $3-$4 per square foot to install. Adding an irrigation ditch can give the water (especially rainwater) a place to go instead of getting close to the house. A basic irrigation ditch can be dug by the homeowner, but professional landscaper typically charge $0.50-$1.00 per square foot. 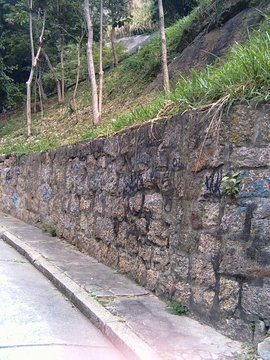 Excessive surface water can lead to soil erosion, which can be mitigated by a retaining wall 3. On average, a six-foot tall retaining wall that is 50 feet long can be installed for $13,700. In some areas, installing a French drain 1 may require a permit and local approval, especially for an exterior drain. Check with your contractor or service provider for specific information to your area. Also, be sure to call your local utility number to make sure the area you are digging is clear of utility lines. How much does it cost to install a French drain in my city? 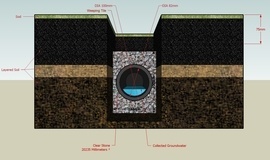 Cost to install a French drain varies greatly by region (and even by zip code). To get free estimates from local contractors, please indicate yours. A structure used to support vertical slopes of earth or to hold back water. Cost Considerations: Retaining walls made of interlocking concrete blocks are usually the most economical option at $15 to $30 per sq. ft. Wood walls generally run $20 to $25 per sq. ft. Stone retaining walls cost approximately $25 to $40 per sq. ft. Poured concrete usually averages between $30 and $40 per sq. ft.